I really like the GetOUTreeView script, but I've found an issue with the output . See attached. This problem is caused by the spaces in the OU name. The table to create the TreeView isn't sorted propery. Please check for a solution (ugly but it works). Still getting to grips with AutoIt. 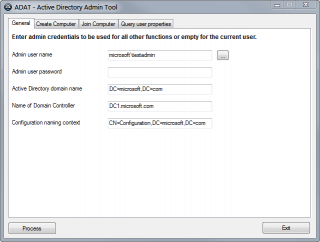 How do I make it use the Active Directory OU's rather than the locally defined ones? 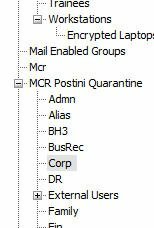 $aAD_OUs = "Root" & @Tab & "Partners"
$aAD_OUs = "Root" & @Tab & "Partners.Disabled"
$aAD_OUs = "Root" & @Tab & "Partners.Disabled Never Used"
$aAD_OUs = "Root" & @Tab & "Partners.Inactive - Migrated from Media"
$aAD_OUs = "Root" & @Tab & "Partners" & @Tab & "Example 1"
$aAD_OUs = "Root" & @Tab & "Partners.Disabled" & @Tab & "Example 2"
$aAD_OUs = "Root" & @Tab & "Partners.Disabled Never Used" & @Tab & "Example 3"
$aAD_OUs = "Root" & @Tab & "Partners.Inactive - Migrated from Media" & @Tab & "Example 4"
$oAD_Command.CommandText = "<LDAP://" & $sAD_HostServer & "/" & $sAD_Root & ">;" & "(objectCategory=organizationalUnit)" & ";distinguishedName;subtree"
Remove the ";" from lines ";	_AD_Open()" and "; If $bAD_IsADOpen = False Then _AD_Close()"
Water, you're an AutoIt Guru! Thanks very much! More details can be found on the first post. Experimental Version 1.2.1.0 has been released. Needs 3.3.9.2 beta for the new way the UDF handles COM errors! 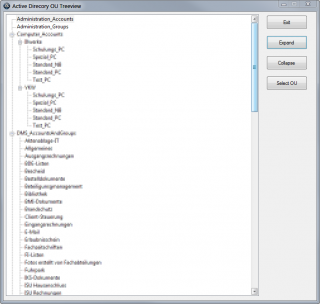 New version (1.2.0) of the _AD_Example_GetOUTreeView example script added to post #1. Experimental Version 1.2.2.0 has been released. Version 1.3.0.0 of the UDF has been released. This version combines the last production version 1.2.0 and the experimental version 1.2.2.0! 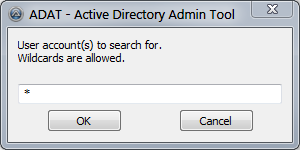 Using Active Directory Report, I get the error "More than 254 User selected!". But I am using Excel 2007 (32 bit Office installed in Windows 7 x64). If I change the "If $oExcel.Application.Version <= 12.0" to 11.9 then it continues but hangs processing records. Where should I be getting ExcelCOM_UDF.au3 from? Maybe that is the problem. It pops up with 12.0 in the messagebox. OK! 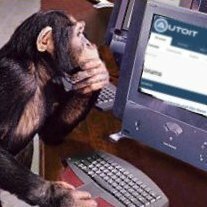 Now it gets stuck processing AD records (380 of 387). I am querying groupnames for an OU. The OU is part of a very large AD domain. 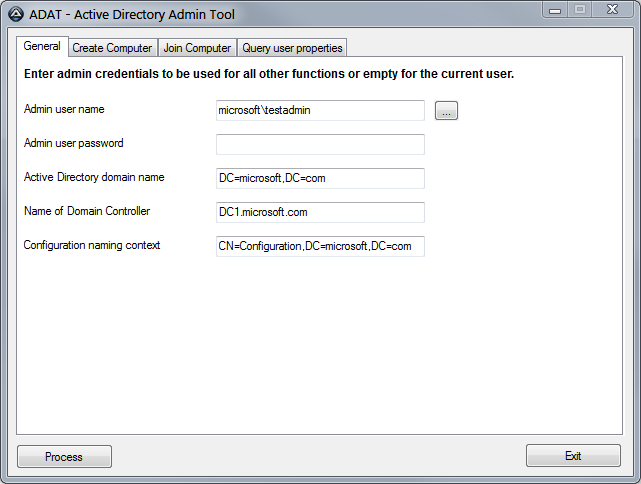 The groups have members from trusted domains whose DCs are in other places on the planet and available only over slow cloud connections. These trusted domains are also very large. If I _ArrayDisplay($aUsers) at the end of _Transpose() I see all the data in the array. This comes after some few minutes. 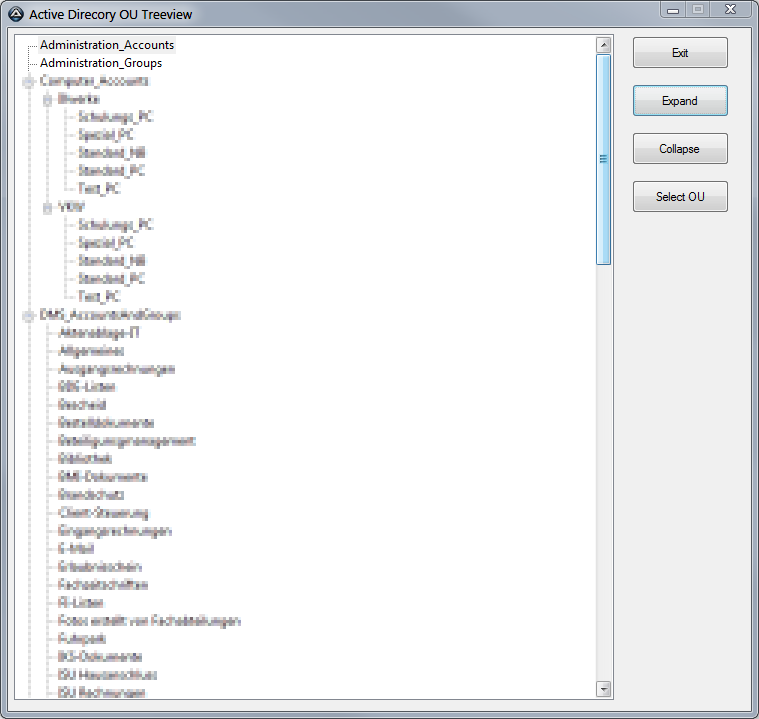 It includes the user infos in columns 0 and 1, and the grouplist in column 3. WARNING: $sFound: declared, but not used in func. Not sure that the warnings are relevant. Unfortunately I will leave to go on holiday for a week in a few moments, and I'm sure you must sleep sometime. :-) Perhaps we can continue our troubleshooting when I return? Sure, we can troubleshoot when you return.